Today the students were set the challenging task of solving clues to lead them to a place in the junction. The task would take the students all over the junction. They did a great job and the first team finished in just over 40 minutes. The task was made more difficult as their were 2 red herring clues and the answers gave a mix of letters that needed to be re arranged. Have a go yourself and see how many clues you can find? Work out the clues then go out and take a photo of the answers! When you have answered all the clues rearrange the first letters to a reveal a well-known place in Noosa! 1. I help you to keep fit. 2. I’m round and sour and when you eat me I make your face squirm. 3. I take your photo but not your face. 4. I’m big and bright and I keep your money safe. 5. On a hot day I’m the perfect answer to keeping you cool. 6. You watch stars shine. 7. I style your hair when it gets too long. But be careful as 2 letters DO NOT fit into the final word!!!! 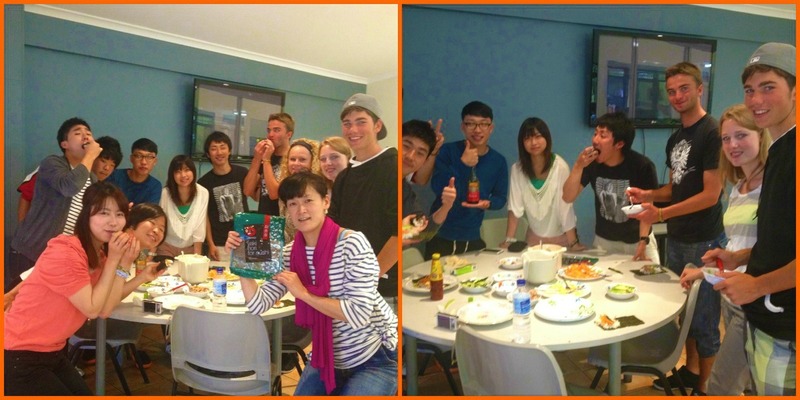 Michelle’s pre intermediate general English class cooked pancakes today to say goodbye their friend Zoe. 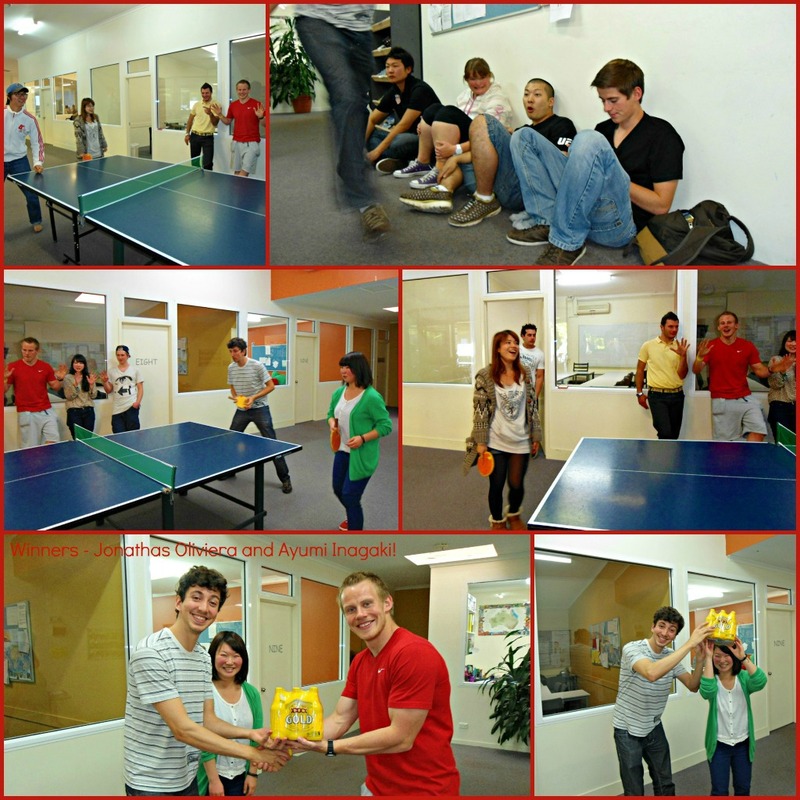 The Lexis Noosa students took to the table tennis tournament. It was mixed doubles with 8 couples taking part including wives playing against husbands and a staff member battling through the pain!!! The tournament drew quite a crowed as the games became competitive. Everyone really got in to the afternoon with cheers and groans ringing around the college. The final saw friends pitted against each other and the defending singles champion Mauro aiming to win back to back tournaments. But after not picking his own wife to partner him Johnathan was not going to let that happen as he and first timer Hachi beating Mauro and Rina in a very close and skillful final 22-20. This puts the table tennis league on a knife-edge and with the imminent arrival of the Cambridge students to be added to the mix. Watch this space!!! Don’t forget to check the notice board for future activities and add your own ideas for future afternoons!!!! Domestic Helper wanted – paying $15.00 per hour. CELEBRATE SPRING AT THE NOOSA JAZZ FESTIVAL 30 Aug – 2 Sept! After more than two decades of bringing the cream of Australian music talent to the beautiful resort town of Noosa Heads Queensland, the festival is now one of Australia’s longest running and most esteemed jazz festivals in the country. The list of performers who have electrified the venues of Noosa over the years is impressive. Greats like Bob Barnard, James Morrison, George Golla and Vince Jones are just a few of the big names who have wowed audiences in one of Australia’s most desirable beach resorts. Noosa is blessed with pristine beaches, beautiful national parkland and a magnificent river, but when the jazz festival comes to town, music lovers can enjoy one of the most unique holidays imaginable. The Noosa Jazz Festival offers a magical environment and great music in venues overlooking the river and the ocean. Created to celebrate the start of Spring, the Noosa Jazz Festival plays an important role in attracting tourists to the region who are looking for an escape from the winter climate. From humble beginnings in a single restaurant, the festival today boasts over 90 performances in multiple venues on the renowned Hastings Street strip, a large purpose built jazz stage at the Noosa Lions Park overlooking the beautiful Noosa River, Bicentennial Hall, which is the home of the Noosa Jazz Club and venues all the way to Noosaville come alive to the great sound of jazz and progressive music every year. Today, the festival has grown from a community event to a sophisticated celebration of jazz diffusion and progressive music, which is an internationally acclaimed festival attracting thousands of music lovers to South East Queensland. In recent years, performances from Cat Empire, Paul Grabowsky, Megan Washington, Katie Noonan and the kings and queens of traditional jazz like The Syncopators, Peter Gaudion and George Washingmachine amongst many great performers, have given the Noosa Jazz Festival a renewed lease of life. The organisers have big plans for the future and are now investing in attracting international performers to the festival. 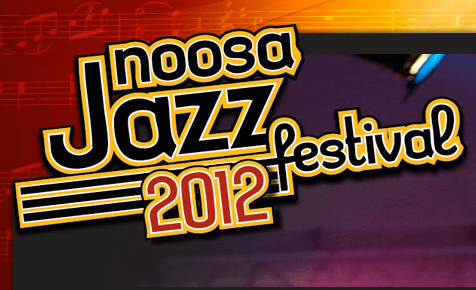 Join music lovers from all over Australia at the Noosa Jazz Festival from the 30th August to the 2nd September, 2012. You’ll enjoy alfresco lunches on Hastings Street , magnificent open air concerts at the river side stage in Festival Village, and be rewarded with some of the best live music in the world. The Noosa Jazz Festival is back! The 2012 festival promises to be an exciting weekend of outstanding entertainment with great performers, unique market stalls and mouth watering food outlets. We would love to have you on board. To be a part of the Festival, register as a volunteer at this year’s event. We are currently looking for enthusiastic, friendly and reliable people to join our team and to be a part of what promises to be a rewarding and exciting four days. In return for your services, you will receive a volunteer pack consisting of an official Noosa Jazz Festival 2012 volunteer t-shirt as well as 2 x day tickets to a festival day of your choice. Please email us at info@noosajazz.com.au for more details. View Restaurant at Outrigger Little Hastings Street has developed a well deserved reputation for fine food in a relaxed and friendly environment. The Conference facilities in the property are also very popular and we are now coming in to the busy time of year. While previous experience is essential, having a great attitude will be even more important. Part of this ‘great attitude’ will be your desire to succeed in a very successful property. So if you enjoy working with people and like to have fun at the same time, this may be your next career move. Naturally you will have a current RSA Certificate. Outrigger’s management culture is based on a set of values which were written by our staff. We are looking to find employees who will embrace our values and champion them to our property teams. There are still good shifts available so send me a copy of your current resume today. I will reply to every genuine application. We are seeking a multitalented person to join our Operations team which consists of food & beverage, golf, and Resort accommodation. It is a Casual position working approximately 20 – 30 hours per week with the successful applicant required to work evenings and weekends. Situated along the beautiful Noosa River, Sirocco Noosa is currently seeking a food and beverage enthusiast, with a la carte experience to join our team. Teacher Dionne and the Intermediate general English class cooking up a feast! 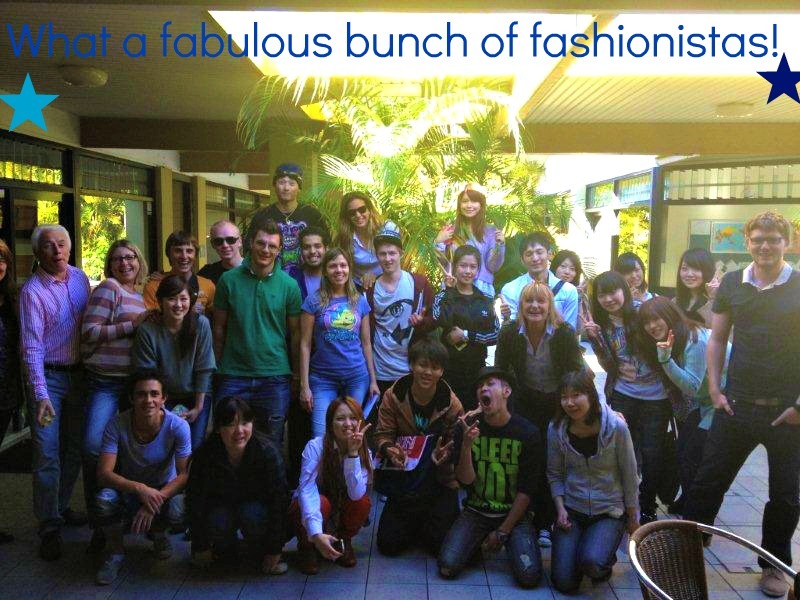 Dionne with – Midori, Eriko, (Zigs) Jaemyoung, Masumi, Michele, (Neil) Tae Yeong, Hiroshi, Sebastien, Yohei, Carl and Mayu. Farewell Tsubasa & Good Luck! Tubasa Ueno studied 46 weeks with us from September 2011 to August 2012, starting as a low beginner and exiting from an upper intermediate level. 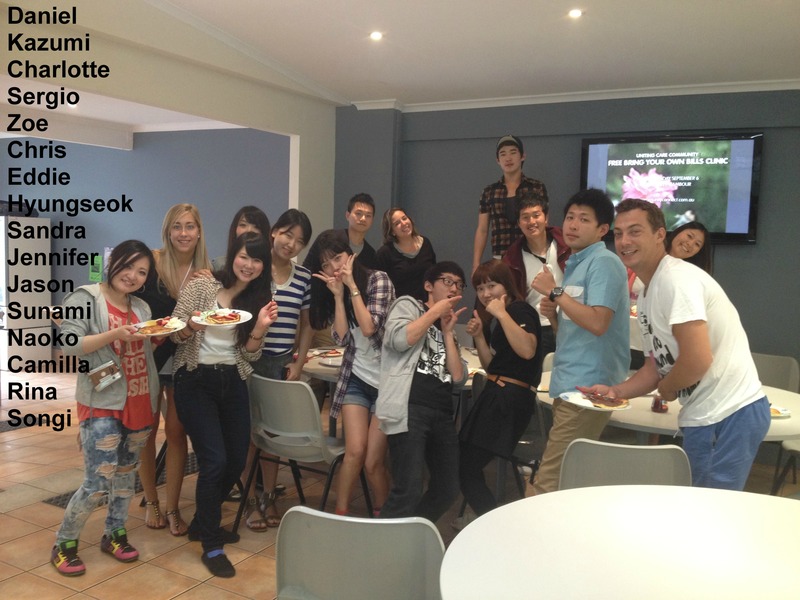 Tsubasa said, “thank you to the Lexis staff for giving me the best time of my life”.He is now meeting his family for a holiday in Sydney. Any plans for this Sunday? If you haven’t already made plans to head to the Sunshine Beach festival this weekend it will be a great way to spend your Sunday! 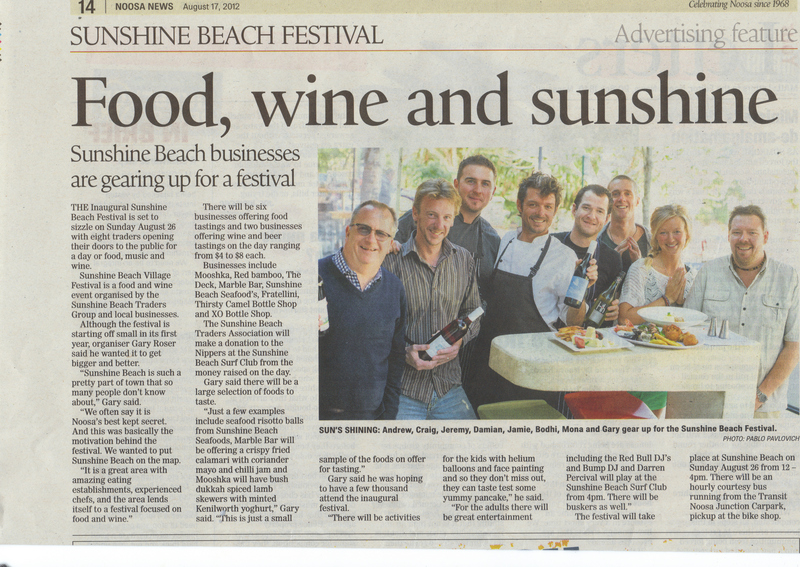 From 12:00pm, Sunday 26th August, Sunshine Beach will be showcasing some of its best food, wine and music! There will be free buses running every hour from the Noosa Junction transit centre (near the bike shop). 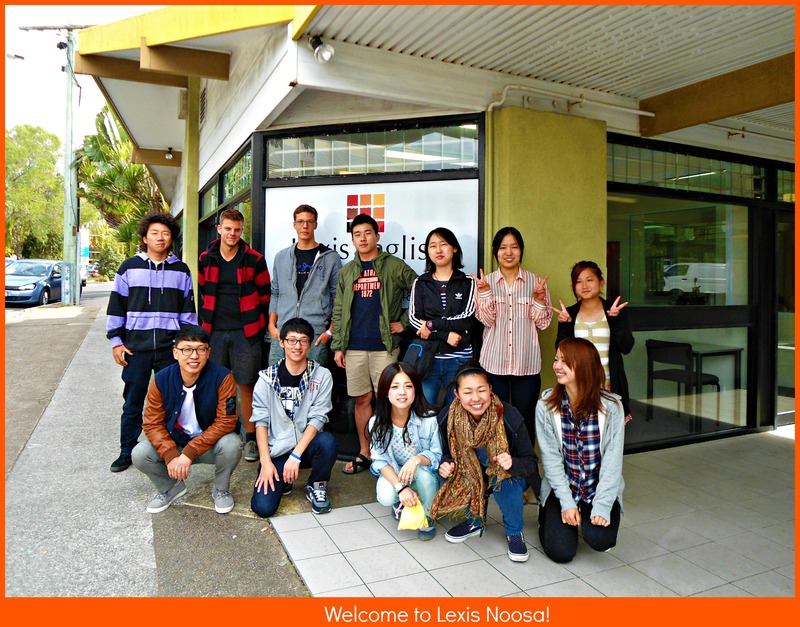 A HUGE welcome to our new starters at Lexis Noosa! Markus Haeusler (Switzerland), Eri Harada (Japan), Haruna Haraguchi (Japan), Lisa Ito (Japan), Tae Yeong Kim (Korea), Jaemyoung Park (Korea), Natsumi Sekiguchi (Japan), Christian Slamek (Switzerland), Seulgi Song (Korea), Yosuke Tsuchiya (Japan), Sachiyo Tsuji (Japan), Jaeseong Jeon (Korea). 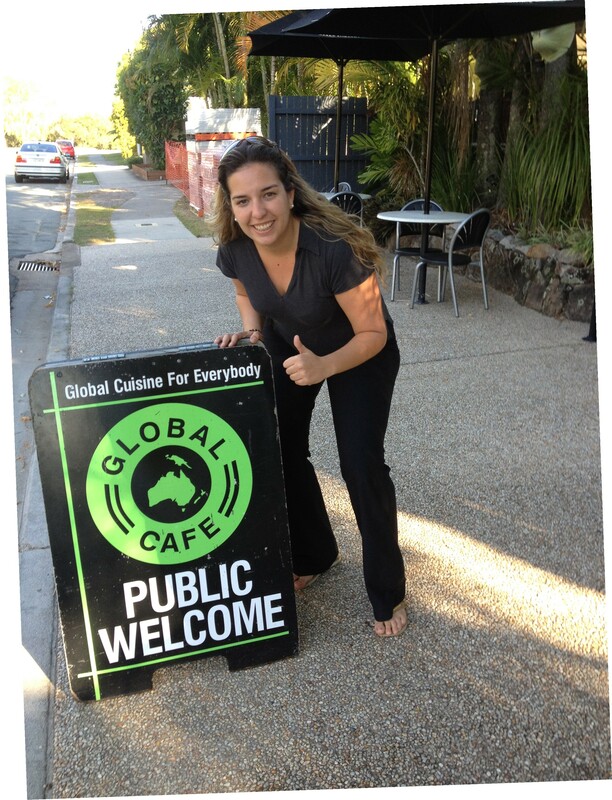 Camilla was so happy today to be starting her new job at Global Cafe, Noosaville. 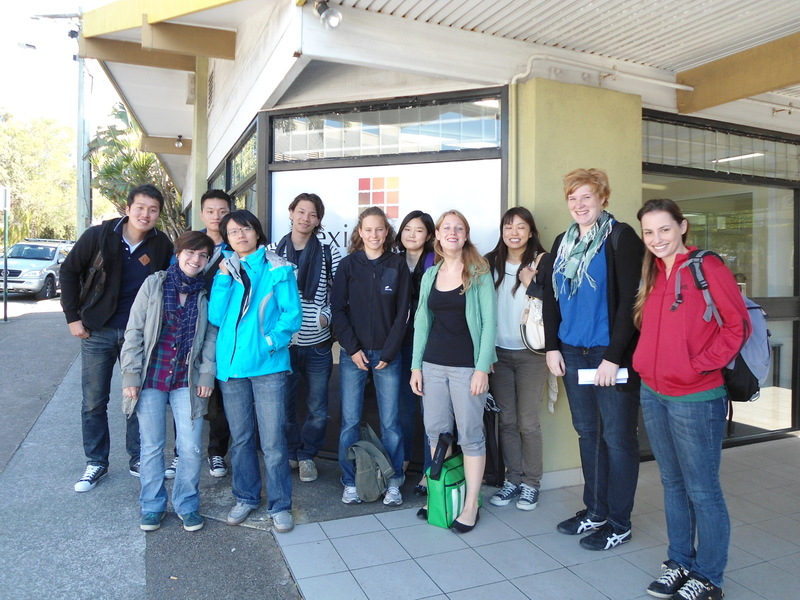 Camilla told us that Noosa was a wonderful place to study and live and work in. 🙂 She says that good English will mean a good job on her return to Rio. A cafe in Noosaville is looking for a dishwasher for Friday and Saturday evenings. Lots of Jobs coming up so don’t forget to join Phil’s Lexis Workshop for advice and help with getting work whilst studying in Noosa. Tuedays and Wednesdays from 2pm to 3pm in room 12. Stella (Brazil), Mirjam (Switzerland), Kerstin (Lichtensetein), Takako (Japan), Chan Hee (Korea), Hyungseok (Korea), Chen-Ying (Taiwan), Michèle (Switzerland), Stephanie (Switzerland), Yen-Chen (Taiwan) and Soushi (Japan) we hope you enjoy your stay in beautiful Noosa! Michèle, Mirjam and Kerstin will study for four weeks in general English and then join our Cambridge Exams Preparation courses. 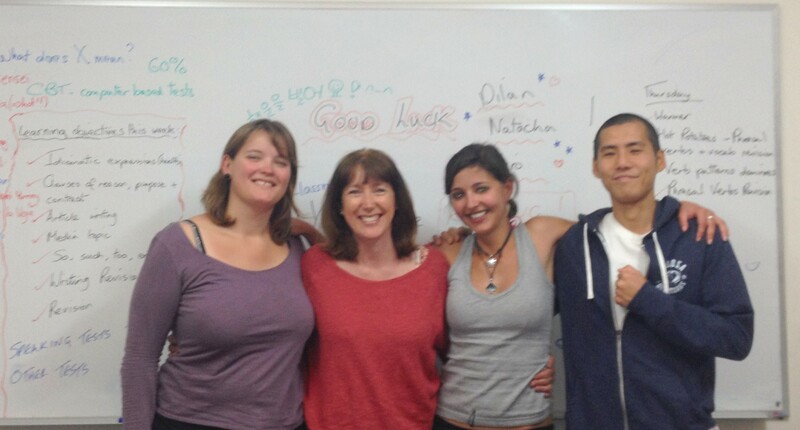 We wish our Cambridge First candidates good luck! Their classmates surprised them with good luck messages. Their teacher surprised them with good luck donuts. They took their speaking exams yesterday (followed by Champagne) and will take the computer based exams on Saturday. 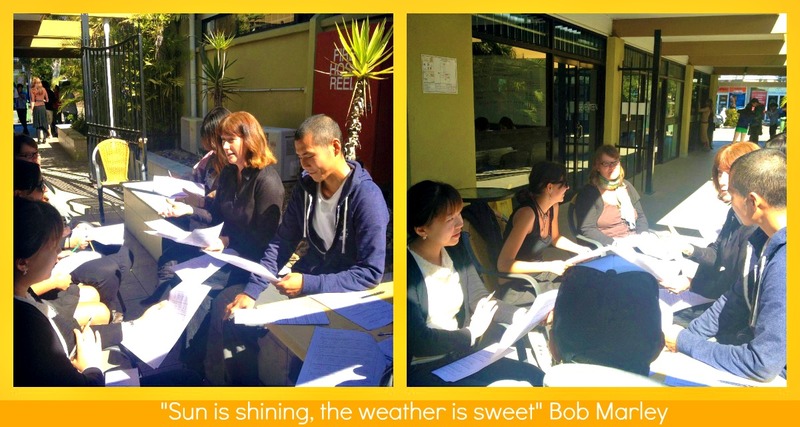 Check out our Cambridge English – First Certificate class loving having tutorials in our sunny courtyard! A big welcome to our new students! Meet our new starters for this week! Rocio DE LA LLAVE MOTA (Spain), Songi HAN (Korea), Edouard HOMBERG (France), Kana KAWAMI (Japan), Hadrien LORIOT LACARRE (France), Giulia MONTANO (Italy), Yoshitaka OGINO (Japan), Franziska RETTENMAIER (Germany), Jeremie SALLOUA (France), Katsuhiro SEINO (Japan), Ryosuke SUZUKI (Japan), Kaito WAKABAYASHI (Japan). Victoria Stepanenko stays in touch! I am very thankful to my teacher because I have very interesting and helpful lessons. Apart from the work in the classroom, we had two excursions to the Cheese Making Factory and a Woodwork Museum, after which I had some tasks to do. 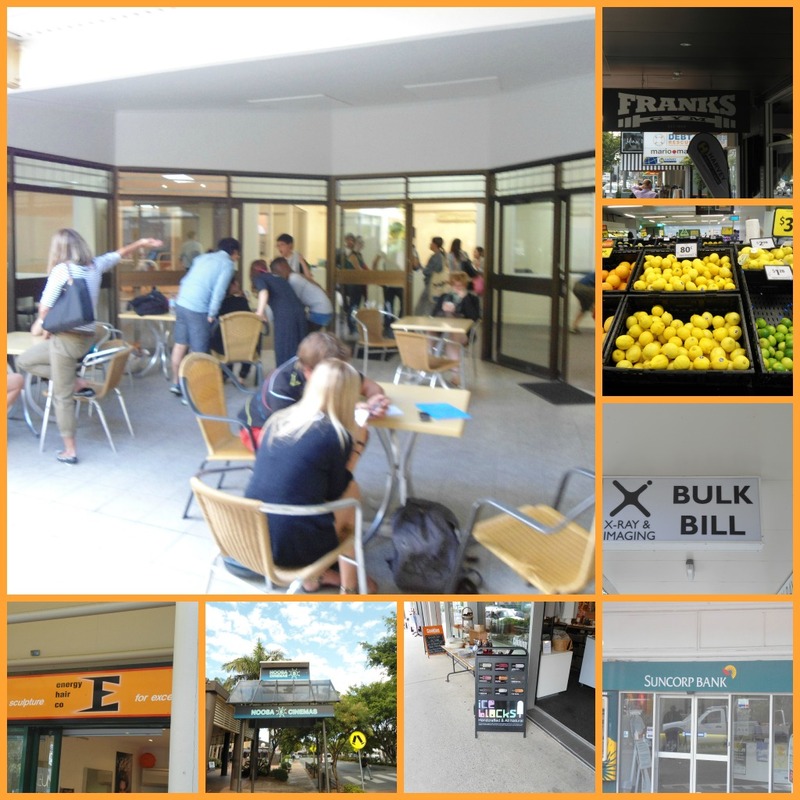 There are a lot of shops, supermarkets and cafes near the school. The Main Beach is not far from the school as well. I had a fabulous homestay family. They were very helpful, funny and interesting host parents who became more than a host family. Now they are like a real family to me. I was really happy to stay with such a wonderful family. Lexis is a remarkable school which is neither too big nor too small. There are beautiful classrooms and free internet as well. Also, the people are very polite, helpful and open-hearted here. I was able to meet a lot of students from all over the world to communicate with them and make very good friends. A big thanks to all our Lexis Noosa staff and students for participating in the Jeans for Genes fundraiser today! A fantastic cause to raise money for & also a great excuse to wear our jeans & look fab! Meet new Lexis Noosa staff member – Chris! 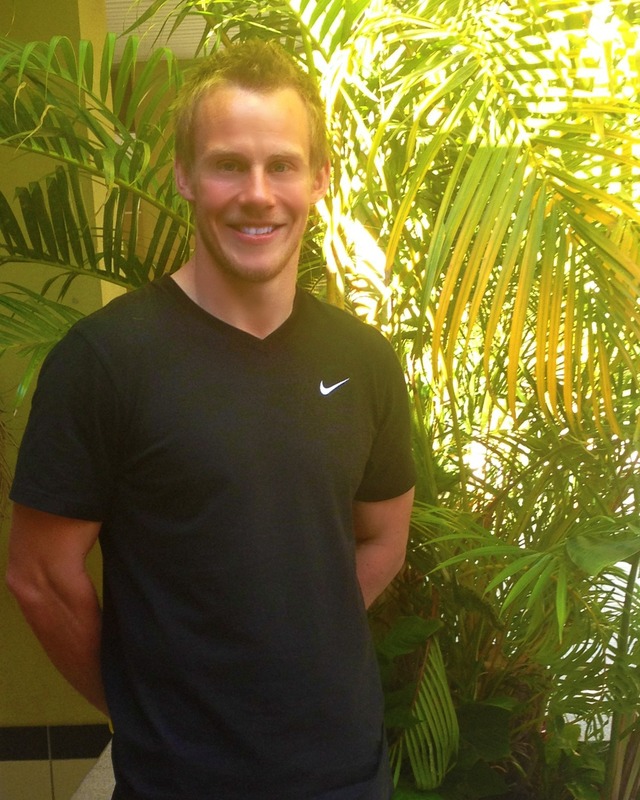 Chris is originally from England and is in Australia playing Rugby League for the Sunshine Coast Sea Eagles. Chris is a keen sportsman and completely gym mad! His love for sports has also led Chris to become a fully qualified Physical Education Teacher, where he has worked in mainstream schools, special education units and has also delivered an activities program for youth offenders in England. While Chris is playing Rugby in Australia, we are also lucky enough to have him running the activities for our Lexis Noosa students on Monday, Wednesday and Friday. Make sure you say hello and give Chris a big welcome! Jonathas Oliviera and Ayumi Inagaki claim gold! 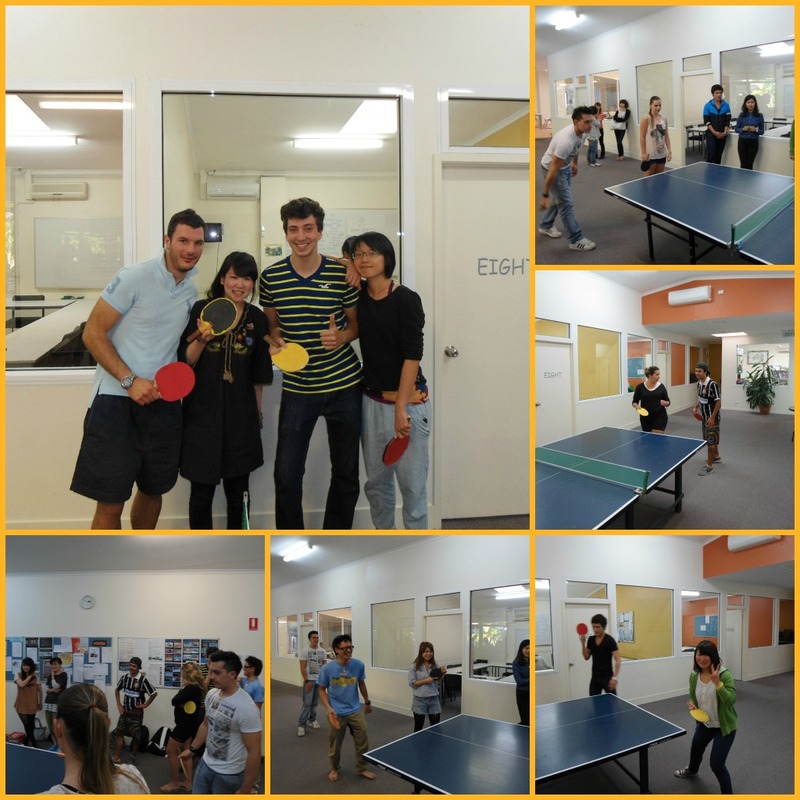 Lexis Noosa held an Olympics of their own yesterday, with students competing in a table tennis tournament. Congratulations to our winners, Jonathas Oliviera and Ayumi Inagaki! Big hugs for Mariana who has been given a work sponsorship by Noosa Surf Life Saving Club. 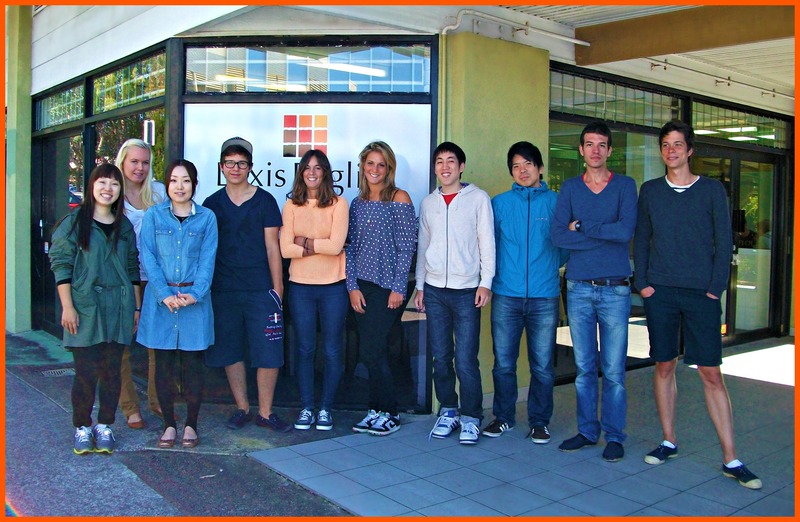 Mariana studied general and Business English at Lexis English Noosa between September 2009 and August 2010. 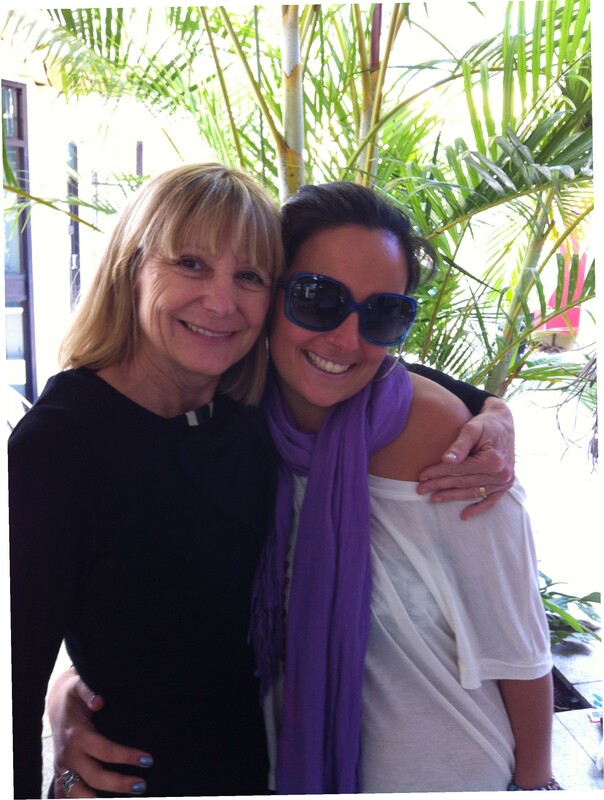 Whilst at the school she worked in the restuarant at the Surf Club and has remained with them ever since. Mariana loves Noosa and is thrilled that she can now stay.